Boating has become a new passion of the rich Indian and a luxury lifestyle statement. India has always been known for its lavish spends on prestige & luxury, therefore we reach out to this set of enthusiastic yacht lovers and spenders. 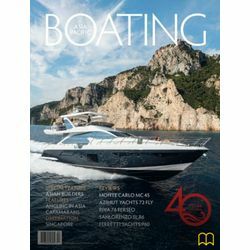 Asia-Pacific BOATING India Edition prides itself on delivering the highest standards of luxury boating news from not just India but also across Asia. With an enviable international editorial support, we deliver the latest in international developments in the industry and luxurious lifestyles. It also covers new gadgets, gizmos, articles focused to enjoy leisure time both on and off water.